In the 1850s Painters such as John Everett Millais and others of the Pre-Raphaelite school concentrated on creating paintings of historic ruins overgrown with vegetation. The subjects portrayed by these artists of meticulous, finely detailed, lifelike observations of ancient structures were ideally suited to Archer's wet collodion process. 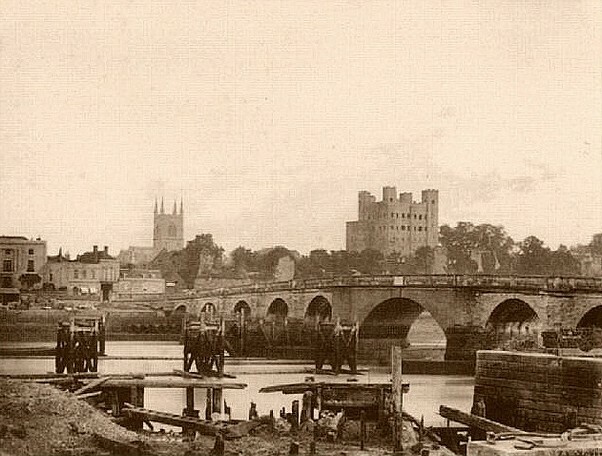 FSA's images of Castles such as Kenilworth, Hever and Warwick are among the earliest photographs of ruined buildings - subjects that continued to be a popular with photographers throughout the 1850s and 60s. His numerous picturesque landscape and architectural subjects included views of locations as diverse as Surbiton, Ipswich, Warwick Castle, the Cambridge Colleges, Rochester and the cathedral at St. Albans as well as scenes on the Thames, and in Wales. The prices for Archer's prints ranged from £1 to £1 15 shillings. It is interesting to note that, despite his interest in Sculpture and career as a Sculptor, he took very few portraits of people, and certainly none are known to have survived at any rate. 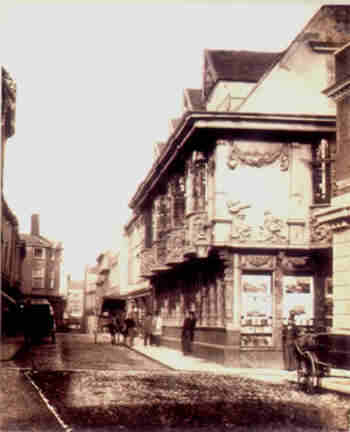 In the years which followed the discovery of the Collodion Process, Archer chose to demonstrate its powers himself, by embarking on what must have been a very heavy schedule of travelling to almost every corner of England and Wales in order to take images of well known historic buildings or scenic views. His travels took him to places as far apart as Jeraulx in Yorkshire to Devon and to Glamorgan in Wales. It is known that he captured a Collodion Glass Positive image of Hever Castle taken possibly as early as the spring of 1849. 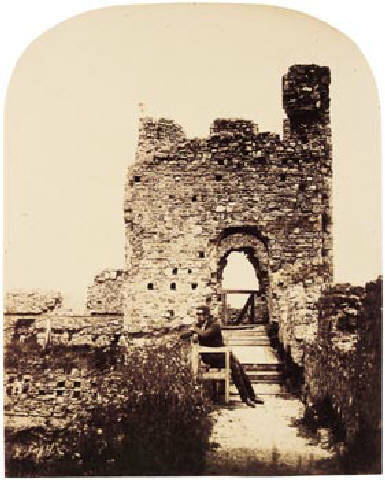 However, his earliest extant Collodion images date from 1851 when he photographed the ruins of Kenilworth Castle, near Warwick in England. Its red sandstone remains date from the various periods in its history from the twelfth to the sixteenth century. The Castle was depicted by artists of the late 18th and early 19th century such as J.M. W. Turner and his friend Thomas Girtin, who pointed the way to subjects such as these, entirely suited for the new art of photography. Walter Scott found inspiration in the castle for his popular novel Kenilworth (1821). It was a subject and location well known to the Victorian public for its romantic, medieval associations.